Intel is retiring its Atom x5-Z8100P SoC that is used inside Microsoft’s HoloLens augmented reality headset. With the last units shipped in late October, it looks like the software giant is on track with its next-generation HoloLens that is due to arrive in the coming quarters. Intel asks its customers to place their final orders on the Atom x5-Z8100P SoC (belonging to the Cherry Trail family) by September 30 and says that the final shipments will be made on October 30. Given the fact that Intel seems to have only one customer using the microprocessor, the short amount of time between the announcement of the product discontinuance and the actual EOL was probably negotiated before. Moreover, since we are talking about a semi-custom chip, Microsoft was probably the initiator of the EOL, which indicates that the company is on track with its next-gen HoloLens. 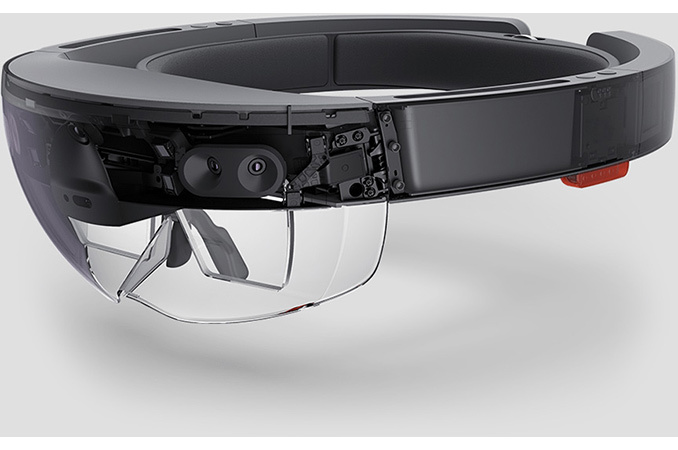 The current-generation Microsoft HoloLens wearable augmented reality PC was released in 2016 and is based on Intel’s Atom x5-Z8100P SoC as well as a custom-designed Microsoft holographic processing unit (HPU) that processes data from various sensors. The HoloLens is equipped with over a dozen of sensors, including a 2 MP video camera, an inertial measurement unit (which means, a set of accelerometers, gyroscopes and maybe even a magnetometer), one depth camera, four environment understanding cameras, four microphones, an ambient light sensor as well as mixed reality capture IC. The next-generation Microsoft HoloLens will be different compared to the existing augmented reality platform, Microsoft revealed recently. While the device will run Windows 10 and will be equipped with an HPU, it will also feature an AI co-processor integrated into the latter that will use neural networks to enable object and voice recognition skills without the need for an Internet connection. The HPU 2.0 with the programmable AI co-processor will be a self-sufficient device that will run on battery power of the next HoloLens (hence, its power consumption will not be too high). 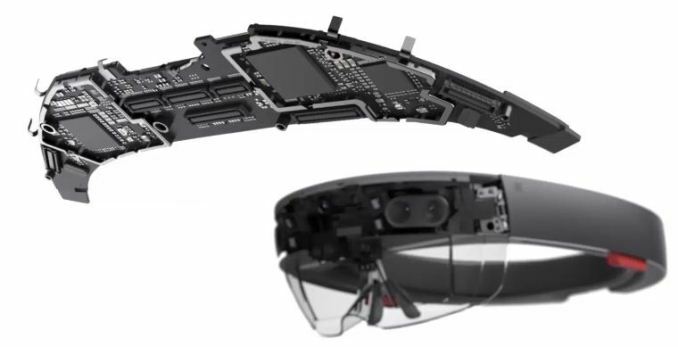 The HPU 2.0 and the AI co-processor were designed entirely in-house and therefore are tailored for usage model of the HoloLens. Given the differences in architecture of the HoloLens Next compared to the existing model, it remains to be seen what kind of CPU Microsoft decides to use for it. Microsoft demonstrated “an early spin of the second version of the HPU” running live code implementing hand segmentation at CVPR in late July. Therefore, while the chip is functional, it does not seem that the HoloLens Next is just around the corner and it is logical to expect it sometimes in 2018 or even in 2019. "Intel seems to have only one customer using the microprocessor"
"The current-generation Microsoft HoloLens wearable augmented reality PC was released in 2016 "
Released seems to be the wrong word to use here. More like "made available to developers". This is not just a minor technicality. I can't buy a Hololens at Best Buy today. I can't expect to enter a stable Hololens ecosystem with more-or-less final UI, app store, etc. All this means that a sentence like "Therefore, while the chip is functional, it does not seem that the HoloLens Next is just around the corner and it is logical to expect it sometimes in 2018 or even in 2019" now becomes devoid of content. "Best Buy Doesn't Sell it Theorem" bwahahahahhaaaaa!!!! This is probably a logic move for Microsoft. They wanted a light weight cpu - ATOM is good for such a task - ARM could work - but development might be hard - because more stuff is done on x86 processors. From what I heard to cancelation of Atom is primary in normal CPU process - Intel has other alternates for it now and there is nothing in embedded line.